Whether you need a DWI lawyer, domestic violence attorney, or representation to fight a traffic ticket, a veteran criminal defense attorney offers the best possible outcome for your unique situation. Any criminal offense or traffic violation may result in serious penalties and personal ramifications for you and your family. 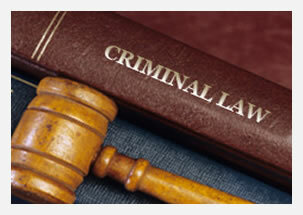 A skilled and experienced criminal defense attorney will aggressively challenge the evidence and work diligently to minimize the impact on your life. Based in Bradley Beach, New Jersey, the law firm of Keith, Winters, Wenning & Harris, LLC. provides capable representation for citizens throughout New Jersey, including Monmouth, Ocean, and Middlesex County. Our firm also represents clients in administrative license suspension hearings (DWI or too many traffic tickets), bail reduction hearings, and record expungement of past events. We ensure that clients are fully informed of their rights, and examine your case for indications that the police exceeded their authority or violated your constitutional rights. If we find evidence of impropriety in traffic stops, searches and seizure, field sobriety tests, blood-alcohol tests, line-ups, interrogations, or other phases of your arrest, we seek to have charges dismissed or reduced, or raise those issues before a jury. While we are skilled at negotiating favorable plea agreements, every case is prepared for the possibility of a trial, where we have a record of success. Our goal is to avoid the worst penalties: jail or prison, loss of license, heavy fines, mandatory treatment, and a criminal record. As a Certified Criminal Trial Lawyer, Michael Wenning is recognized by the State of New Jersey for possessing considerable knowledge of criminal law, the requisite experience before a judge and jury, and the highest standards of professional conduct. He has practiced criminal defense in New Jersey for more than 25 years, including service as a Monmouth County criminal prosecutor. Whether you need a DUI/DWI lawyer, domestic violence attorney, or representation to fight a traffic ticket, a veteran criminal defense attorney offers the best possible outcome for your unique situation. Contact Michael Wenning to discuss your case in a free initial consultation.